Ellisville is one of Plymouth's oldest fishing villages. Much of the village is set aside for a state park and there are extensive salt marshes, which preserve the serene beauty of this quiet little town. 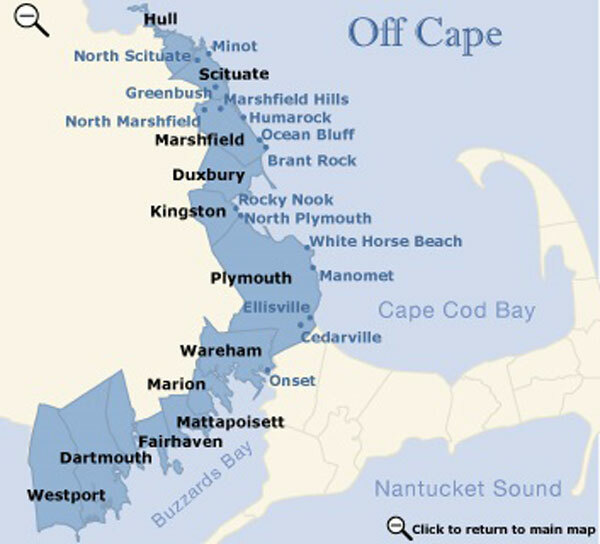 There is an ocean beach on Cape Cod Bay and tranquil Swan Pond, which hosts various waterfowl. Ellisville Harbor State Park is a unique coastal property, including an 18th century farmstead (the park was once part of the Harlow family farmstead), beachfront, salt marsh, rolling meadows, and red pine forest. It's also one of the most scenic spots on the South Shore coastline, where you can see small fishing boats, a barrier beach, sphagnum bog, forested upland and open meadows. Recreation activities include walking, bird watching, beach combing and sightseeing. In fall and winter, harbor seals can often be seen just offshore.